Almost all business owners find themselves under intense pressure to do more with less. Maintaining competitiveness is a constant imperative with customers and clients typically wanting more, wanting it faster – and expecting it to cost less. Continuous improvement in productivity is often a critical success factor in ensuring your business will still be prospering two, five or ten years down the track. For those business owners who are focussed on improving productivity, the 16 August Business Owners Forum will be a must-attend event. This event will be held at the BNZ Partners facility on Constellation Drive, North Harbour at 5:30pm on Thursday 16 August 2012 – and will run through to 7:30pm on the night. Jenny Smith. 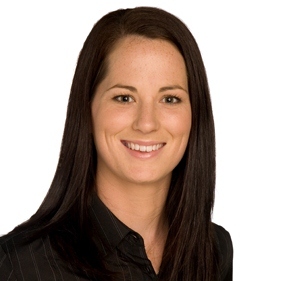 Jenny is an experienced Kaizen (Lean) >>> practitioner having embedded Kaizen principles throughout the BNZ. Jenny could speak for a day on Kaizen, so come and hear some nuggets from her considerable experience in this area distilled down to a short and snappy session. Naomi Ballantyne. Naomi is in the middle of building her third life insurance company – Partners Life Limited. Naomi cut her teeth as one of the founding employees of Sovereign Insurance where she eventually went on to become the Chief Operating Officer, and three decades on she is keenly aware of the issues facing business owners striving for constant improvements in productivity. Come and hear some of the tips and traps Naomi can pass on from her journey. David Webb. David is Managing Partner of PPB Advisory, an Australasian professional advisory firm that specialises in breaking through the barriers that may hinder business success. This may include a focus on optimising the value of a business, thinking differently about how a company is structured or addressing financial distress. David is well placed to offer some valuable insight to this topic. If you’d like to attend this event, email Fraser Hurrell before the end of 14 August 2012. And if you’d like to be included on the invite list for future events, just add your contact details in the box to the right.